A very significant and powerful eclipse season begins with two eclipses in July, on July 12 and July 27, 2018, followed by a third eclipse next month on August 11, 2018. In addition, Mars is retrograde during these three eclipses until August 27, bringing possible reversals, amplified or misplaced energies, and even sudden revelations. Mercury goes retrograde on July 25, 2018, at a sensitive gandanta degree until August 18, 2018, demanding clear communications. Normally we experience two eclipses together, but this summer eclipse period we have three eclipses occurring every two weeks, and it is happening while Mars is retrograde, creating heightened sensitivity, vulnerability, and intensity. But remember, eclipses can also bring divine insights that help us get back on track, creating openings for healing and transformation. Eclipses are considered to be days of “spiritual initiation,” designed for deep inner work, insight, meditation, and prayer. Material or worldly pursuits are not recommended in the days surrounding eclipses. Instead, use this time to cultivate greater inner capacity for peace. With these potent summer eclipses we can also feel more chaotic or mentally frustrated, and become too emotionally stimulated and stressed. Find ways to develop a kinder heart, share more with others, be grateful and genuine. Slow down, be mindful, and find truly supportive environments. Remember, your past is not your potential. Do things that bring out the best in you. The first eclipse is on July 12, 2018, a solar eclipse at 7:48 PM PDT at 26 degrees Gemini in the nakshatra of Punarvasu. 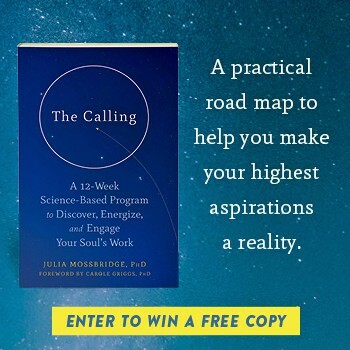 As this is a solar eclipse (new moon), issues arise to be healed concerning the significations of the Sun – which could include re-defining our identity, desiring a deeper soul-connection, improving our health, and even finding our calling in the world. Punarvasu nakshatra, called “the star of renewal,” carries a nurturing and motherly energy, which gives rise to the importance of families and developing compassion for one another. Punarvasu is also connected to the appreciation of nature, which revives the importance of environmentalism, ecological concerns, sustainability, and agricultural issues. The second eclipse this month is a total lunar eclipse that occurs on July 27, 2018 at 1:20 PM PDT at 10 degrees Capricorn in the nakshatra of Shravana. With the eclipse in the cardinal sign of Capricorn, our focus is on career, service, business, government, and leadership. The eclipse nakshatra of Shravana motivates us to prioritize and re-establish the highest principles and dharmic activities in our personal lives, as well as in our world. Be inspired, donate your time to worthy causes, and be of help to those in need. Shravana nakshatra is also symbolized by an ear, and the art of hearing. This eclipse suggests that we need to listen more, and speak less. If we align ourselves with positive, enlightened energies, this will help us to mature and progress. There is much activity connected to this lunar eclipse on July 27. Several days before the eclipse, from July 19 to 23, we experience the second Mars/Ketu this season, when these two fiery planets exactly conjunction at 11 degrees Capricorn, amplifying emotional volatility. We may not think things through, and in our haste, we take actions that we later regret. Mars and Ketu are quite combustible and assertive. This is a time to develop great patience and neutrality. And with Mars retrograde in the mix, it’s easier to lose our equilibrium, as we feel more provoked. So stay calm and have a healthy schedule – with enough rest and relaxation time. Pranayama, yoga, and body work are positive outlets. In addition, Mercury, planet of communications and the intellect, goes retrograde at 29 degrees Cancer, a sensitive gandanta degree, from July 25 until August 18, just two days before the July 27th total lunar eclipse. Lessons arise in how we communicate and express ourselves with others. We can feel misunderstood and become frustrated in getting our point across. Gandanta degrees occur at the cusp between a water and fire sign, and these “spiritual knot” junctures indicate an area that is ripe for deep healing. With Mercury here, then the power of our words (spoken or written) will take on a more significant connotation. Be mindful with speech, listen well, and use your words to instill calm, peace, and compassion in the world. Debra Infante is a practicing Vedic astrologer and teacher. She began her studies of Vedic astrology in 1995, and was certified by The American College of Vedic Astrology as an approved teacher (Level I) in September 1999. She has been teaching Vedic astrology to the students in the yoga teacher trainings at 7 Centers Yoga in Sedona, AZ since 2002. Debra can be reached at (928) 639-0623 for astrological consultations by phone or in person. You can also find her here.